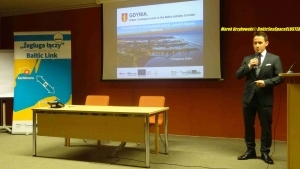 FINAL CONFERENCE of the project “TENTacle – the use of core network corridors for prosperity, growth and cohesion” was held in Gdynia on April 11. The conference took place two months before the international, tenth forum of the Baltic Sea Region Strategy. 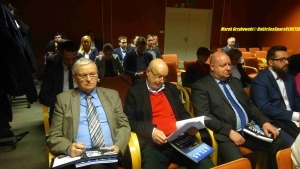 The conference in Gdynia was held as part of the TENTacle project project – the use of core network corridors for prosperity, growth and cohesion. Representatives of the Ministry of Maritime Economy and Inland Navigation, Ministry of Infrastructure, state institutions, representatives of local governments, entrepreneurs, business, agencies, self-government associations, business support organizations, and scientists participated in the conference. The course of the meeting was moderated by dr Michał Tuszyński – the main specialist at the City Hall of Gdynia. The idea of TENTacle was born at the beginning of 2015 in the Blekinge region, as a result of: First – Adoption by the European Commission in December 2014. Study of the Baltic-Adriatic Corridor. The document indicated, among others for problems with achieving TEN-T network standards in Gdynia. Secondly – Project: Bothnian Green Logistic Corridor, completed also in 2014. 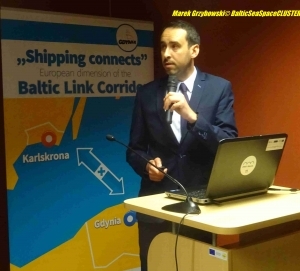 Its partners: the Blekinge region and the city of Gdynia accepted the strategic transport axis Gdynia-Karlskrona-the center of Sweden for implementation. 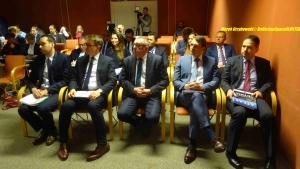 Thirdly – Project “NORDA” – North Pole of Growth “, headed by Gdynia. In spring 2015, the Operational Program for the development of transport for the functional area of the “Logistic Valley” was created. 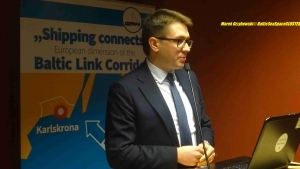 The final conference of the project links its assumptions with the results – said the headman Ryszard Toczek. The objectives of the new Transport Development Strategy until 2020 (with a prospect until 2030) – presented Michał Kwiatkowski – head of the Transport Strategy Department in the Ministry of Infrastructure. 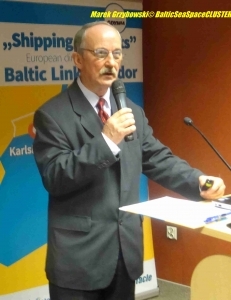 The objectives of the new Program for the development of Polish seaports by 2020, from the perspective until 2030, said Paweł Krekora – the head of the Department of Maritime Economy of the Ministry of Maritime Economy and Inland Navigation, highlighting aspects important for Gdynia. The conclusions from the TENTacle project will be presented at the 10th Baltic Sea Strategy Forum, which will be held in Gdańsk on 12-13 June 2019.